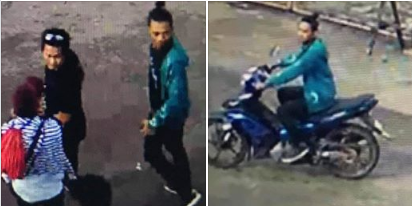 Manila, Philippines - Police has identified the suspect in a double bomb attack that killed 20 people and injured more than hundreds at a cathedral in Jolo, Sulu. PNP chief Director Gen. Oscar Albyalde identified the alias Kamah, the brother of the Abusayaf sub-leader Surakah Ingog, was caught on CCTV lurking around Jolo Cathedral before the Sunday's twin blasts. Kamah is a known bomb maker, he said. Atleast 2 kilos of explosive charge was used in the bombs that shattered glass windows and left bodies scattered inside the church. The explosive was most likely detonated using a cellphone, Albayalde said. The incident happened after a week were referendum approved the creation of the Bangsamoro.